The Southeastern Conference announced the start times for the games of October 8. Florida will play LSU in Gainesville with a noon kick off. In 2015 LSU defeated Florida 35-28 on a late fake field goal for touchdown. 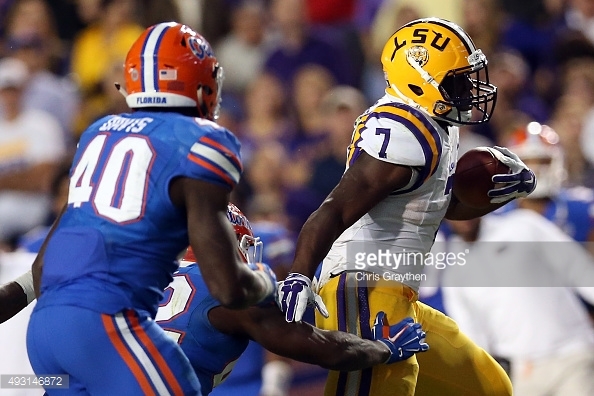 In that game Leonard Fournette rushed for 180 yards and two touchdowns. Both teams will look drastically different as both teams have different starting quarterbacks. Florida will be playing with either Purdue transfer Austin Appleby or redshirt sophomore Luke Del Rio. LSU has started Danny Etling (also a Purdue transfer) after Brandon Harris struggled in the first two games of this season. On Sunday, LSU announced the firing of head coach Les Miles. Miles was known as “the mad batter” due to his propensity for trick plays like last years fake field goal. Ed Orgeron has taken over as the interim head coach.